***WARNING: This blog post is a book-crush gushing of MEGA proportions. Just so you know . . . Finished it at 1:30 AM. (Just in time to give my hubby a kiss and send him off to deliver happiness in the form of cookies.) I’m a devourer of anything Jane Austen and Austen-inspired, and Dear Mr. Knightley is HANDS DOWN the BEST Jane Austen-Inspired book EVER!! I can’t get it out of my head. I feel like I did when I first discovered and read Pride and Prejudice. I can still see my young self sitting, curled up on the couch, snorting and crying, not wanting the story to ever end. 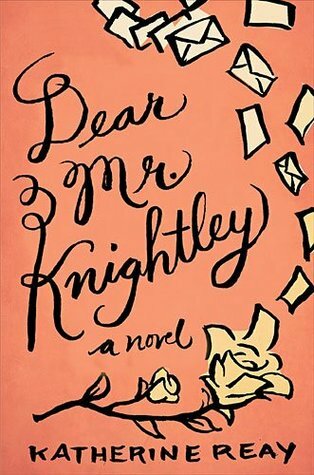 I so wanted to savor Dear Mr. Knightley, make it last more than 4 hours (I know the YEARS it takes to write a story…and it only took me 4 hours to read), but I couldn’t stop. This book was an emotional ride of heart-grabbing honesty, REALness, tear-duct perpetually filled and refilling–like reading pages from my journey. I’m not sure what your writing journey has been like. But if it’s anything like mine, it’s been filled with years of WAITING, happy dances, supporters and hindrances, WAITING, tears, frustrations, WAITING, screams, thoughts of giving up and becoming a super model (JUST KIDDING, in my case at least), WAITING, and of course, more WAITING. I just want to tell you IT WAS ALL WORTH IT! Thank you for pressing onward, for persevering through all the “chains”, and for getting Samantha Moore’s story in print. Her journey was my journey. I was in the same “I’m worthless” boat as she was. But like Sam’s journey, mine led me to the “I surrender ALL” and “I’m Worthy and Loved” camp. Samantha’s story was a huge reminder as to why I write–what I desire my novels to be like. I write because I have trouble speaking/sharing my heart, but I am slowly finding my voice off the page and without ink. I’m an avid Jane Austen fan, and a firm believer and supporter of REAL. I spent most of my life living behind a mask of perfection, a mask of fake. It wasn’t until I found my identity as CHILD OF GOD, that I was able to surrender and take off the mask. Now I’m real (sometimes too much–tend to scare people . . . haven’t had much practice yet with speaking). Posted on January 23, 2014 by Janelle Leonard	• This entry was tagged Dear Mr. Knightly, Jane Austen, Katherine Reay, Real, Writing. Bookmark the permalink. I am going to read this. You have opened my eyes to the Jane Austen madness. Where have I been? I think these stories will inspire me too. You make them sound delicious.